On October 2, 2018, the SLC Council will consider adopting the State Street CRA Plan. The CRA Plan doesn't consider bicycling at all. This is incredibly dismaying and is the antithesis of a smart, sustainable, climate positive city. They should not adopt this plan without modifying the plan to include bicycle accommodations. The quote above shows exactly what is wrong with the plan. State Street is auto-oriented, but it shouldn't be. It should be a safe and complete street for all users – pedestrians, bicyclists, Greenbike riders, scooter users, transit, and drivers – in that order. If you want to revitalize the area, make it a liveable community. The CRA Plan doesn't consider bicycling at all. The only mention of this in reference to crossing State Street. Yet, bicyclists, like drivers and pedestrians use State Street currently because there are destinations for bicyclists on the street. But, you may say, “we want bicyclists to use other streets.” Why? Why not make the street safe for all? Why not encourage a healthy street? Why not encourage a healthy community? The Life on State study, while flawed, has bike lanes in its full implementation scenario. This is the scenario with the highest level of economic impact, the one that will lead to a more liveable and vibrant downtown. The State Street CRA plan ignores this. This design makes a major shift to prioritize multi-modal travel, and has two variations. Both give added space to pedestrians and bicycles, and priority to transit. While we think that Concept 4 should be the starting point for conversation, not the end point, as it is still not strong enough to include full bike lanes everywhere on the street, it is nonetheless the best option in the study. The great outcome of this is that it has by far the greatest economic impact. 3 times as many jobs created as the do nothing alternative. 4.5 times as many housing units created. It is the scenario that includes bike lanes. Yet, the State Street CRA Plan IGNORES this. This is unacceptable. State Street currently has room for bike lanes if the vehicle travel lanes were reduced to 10.5′. UDOT refused to allow this when the street was last repaved, and instead, there is a wide parking lane with some, but inadequate, room for cyclists. If the Council would start a conversation with UDOT on this, maybe some meaningful change would be possible. There are many reasons to include bicycles explicitly in the State Street CRA. • A healthy, friendly, and safe city should be built with the following transportation perspectives in order: pedestrians, bicyclists including Greenbike riders, scooter users, transit, and drivers. • The new homeless shelter is right off of State Street. Individuals using the shelter need a safe way to get there which would include bike lanes on State Street and 700 S (which could be painted tomorrow). • It's better for air quality. • It's better for the collective health of Salt Lake City's residents. 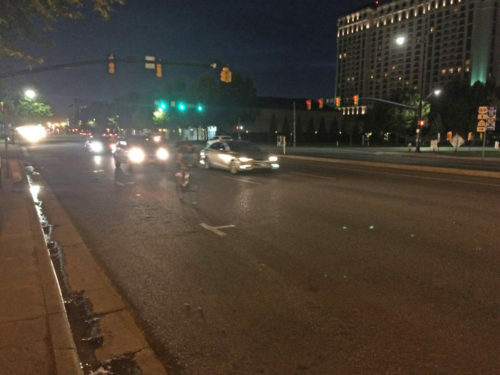 • State Street is a dangerous road for vulnerable road users – but it doesn't have to be. 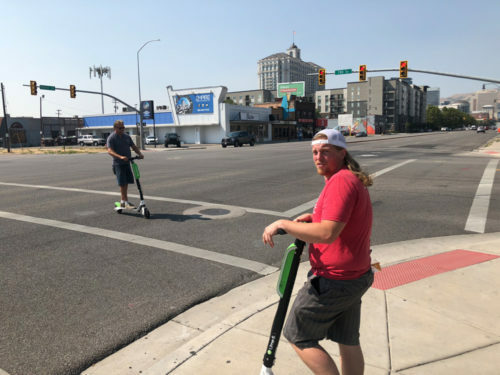 • There's room for bike infrastructure on State Street if UDOT will cooperate. • It's better for the climate and should be required under Salt Lake City's Climate Positive 2040 Plan. • It's in the Pedestrian and Bicycle Master Plan as requiring further study. • It's the preferred option in the Life on State Study. 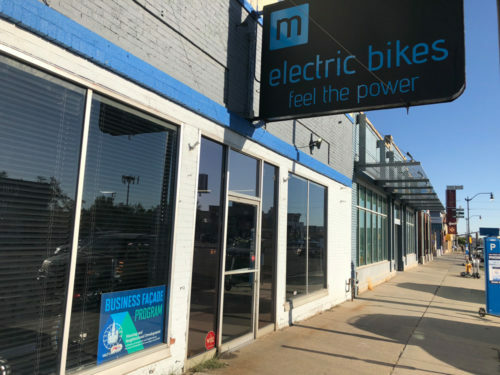 • It's better for businesses on State Street. • People will use it anyway for bicycling – it's a matter of whether Salt Lake City has the courage to make it safe for those users. • It's the right thing to do. State Street should be the Grandest Boulevard in Utah. Please make it so. Update: The Salt Lake City Council passed the Plan, but will add legislative intent language at next week's RDA board meeting to address bikes in the plan. Given the difficulty in amending the plan, this is a big win for bicycles. 2 Responses to "Salt Lake City Must Include Bicycling in the State Street Community Reinvestment Area Plan"
WHY ??? There are alternative routes 1 block east or west! They screwed up Main Street for a bike lane which is seldom even used at the expense of a full lane of traffic !! Tom, cyclists, pedestrians, and motorists all have destinations on State Street, which is a retail destination street. All users should have safe travels on all streets. Regarding Main Street, there was not enough traffic to justify the number of lanes previously. There are still 4 lanes of traffic in most places on Main.